In 1881, George Pullman chose Chicago to hold “the World’s Most Perfect Town.” Because of his earlier experiences in the city, he believed that the Chicago spirit he so admired would imbue his new town with the same optimism. He believed that the overall design and the amenities provided to Pullman residents would elevate the common worker, inspiring the laborers to pursue their own self-betterment. That spirit of optimism never seemed to fade, through bitter strikes, wars, racial tensions, and economic downturns. People have come here seeking a community and a home for over 130 years, first to the town of Pullman and then to the Pullman neighborhood. Until 1950, the percentage of foreign-born residents was five times the national average. 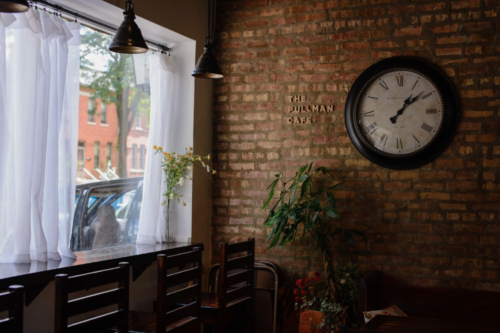 Pullman still maintains this hopeful sense of community, as one of the few Chicago neighborhoods that is truly integrated, with an active LGBTQ community as well. Residents here feel a strong connection to the rich history of the area. In a way, the past helps bring us together, through events like the annual House Tour and the many educational lectures and programs that take place throughout the year. The Pullman area was threatened with Urban Renewal in 1960, spurring residents to form the Pullman Civic Organization. These organizations, meetings, and events have in turn led residents to form several social clubs, such as the Garden Club and the Bridge Club. Solon Beman, the original architect of the town of Pullman, designed the structures and the whole layout of the town with an eye towards aesthetics, an appreciation of art that carries through to today. The neighborhood is home to many artists and boasts a gallery, a choir, and a dance troupe. 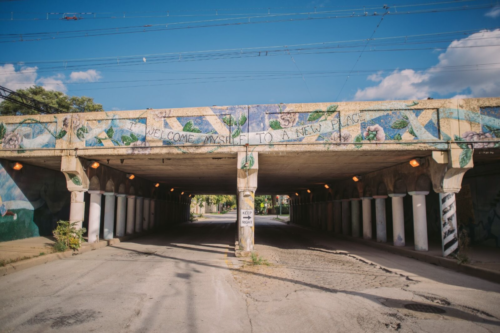 This artistic focus will soon be strengthened—the Pullman Arts group is working with Chicago Neighborhood Initatives and Minneapolis-based ArtSpace, Inc. to create live/work spaces in two Pullman block houses along with new construction. The Pullman company has been out of business since the 1980s; indeed, the whole industrial corridor along Chicago’s Far South Side has lost most of its industries and jobs. Yet the only new industry that has been built recently in Chicago, the Method soap factory, was built in Pullman. The hope, promise, and inherent strength that our neighborhoods exhibit have caused developers to look to the Far South Side as a place of new business. Pullman also has welcomed Gotham Greens, the world’s largest commercial greenhouse, and will soon be welcoming a Whole Foods distribution center and warehouse. Our greater community includes the surrounding neighborhoods of Roseland and Kensington, both of which have experienced economic downturn and hardship. 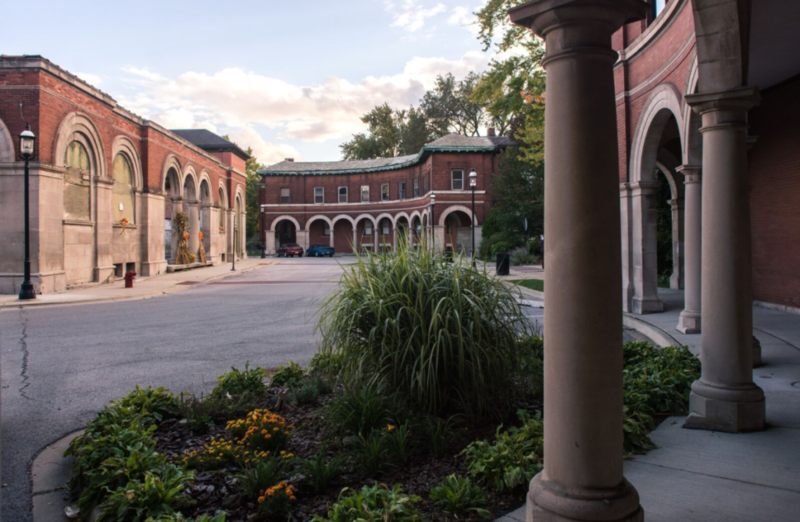 Many of the area’s current residents are looking toward a new horizon as we, together, form the larger picture of the Pullman National Monument. To us, the monument that President Obama created in 2015 serves not just as a recognition of our past but as a celebration of our future. In this spirit, the three communities continue to form a common bond for their future well-being, working together to make our part of the world a better place. Andrew Bullen is a Pullman resident and amateur Pullman historian. His work in Pullman, besides the restoration of his residence, includes the Pullman House History Project and the Pullman State Historic Site’s web presence at pullman-museum.org. As people walk through Pullman’s Victorian row houses, they might suddenly spot a black-and-white photo of Harriet Tubman by a door, Frederick Douglass in a window, or Eugene Debs waving his hat to the crowd. They don’t know when they’re going to stumble on an iconic image of Dolores Huerta holding aloft a “huelga” sign during the California grape strikes of the 1960s in a third-story window. The unexpected cutout photos evoke the rich history of the former company town—its path from utopian beginnings to state-sanctioned violence that led to thirty deaths nationwide after striking workers stood up to their industrial landlord George Pullman. The life-sized photographs wheatpasted around the neighborhood, like the Pullman porter carrying a suitcase across a garage door at 111th and Champlain, confront pedestrians with the past and the ongoing struggle for progress. J.B. Daniel’s “LaborPaste” installation, woven into the streetscape, encourages wandering and discovery. There are no explanatory labels, just the starkness of historical pictures that ignite viewers’ curiosity. Another current installation hearkening back to history, “Community,” is interactive. Located on a wall of the old Arcade building, it invites passersby to chalk artistic answers to the question “What is your vision of a contemporary utopian community?” In July, a multicolored geometric “I MAKE MY FUTURE” blazed; in late August, the first three letters of “Opportunity” formed the eyes and nose of an eager, blue-and-orange face. These works exist alongside Daniel’s broader installation project, “mosnart,” which brings in visiting artists to work within the neighborhood’s historical and architectural constraints, resulting in pieces like Matthew Hoffman’s massive “Go For It” and, most recently, Seattle-based Sherri Gamble’s “Hand-held,” for which she cast the hands of more than sixty residents. Corliss Cozy Corner Restaurant, 10356 S. Corliss Ave. Tues–Sun, 11am–8pm; plans to open on Mondays next month. (773) 253-2011. Generosity, participation, and order, garnished with a touch of whimsy: just the right ingredients to keep a chain of DIY libraries running smoothly, not to mention the spirit of Pullman in miniature. Open it up, and you’ll find far more than a modest book box; the four shelves include fiction (cult classics like A Canticle for Lebowitz as well as crowd-pleasers like James Patterson), romance, children’s books, mysteries, self-help, and nonfiction (“no dragons, yet,” the label admits). Malvika Jolly and Faith McGlothlin, both South Side natives who found themselves living in Pullman, are to thank for this collection, which they founded last summer. They and several other community members built the library by the Metra stop to enliven the four long-empty storefronts there, and the sign was made as part of a project for the Pullman Arts Camp they ran in collaboration with the Pullman Youth Group and the Cooperation Operation. When the call came for books to fill the shelves, “people actually turned up in hordes,” Jolly said, granting a reliable surplus for restocking both the main library and the satellites, which have sprouted up in familiar turquoise and penny-mosaic outside the Pullman Café, in the Pride of Pullman Garden, and elsewhere. There are also plans to expand into Roseland and northern Pullman, so if you see any repainted newspaper boxes glued with rings of pebbles, bicycles chains, washers, and pennies, you’ll know who’s responsible. Pullman Free Library, 115th St. & S. Cottage Grove Ave. Volunteers interested in installing a library—even a shelf—anywhere in the South Side should email malvika.jolly@columbia.edu. Great article….miss Pullman, need to make a trip back to visit. Terrific summary of our beloved Pullman, in a nutshell. Thanks for the recognition.